Although it may not look like it at first glance, our '67 Mustang project is powering ahead. 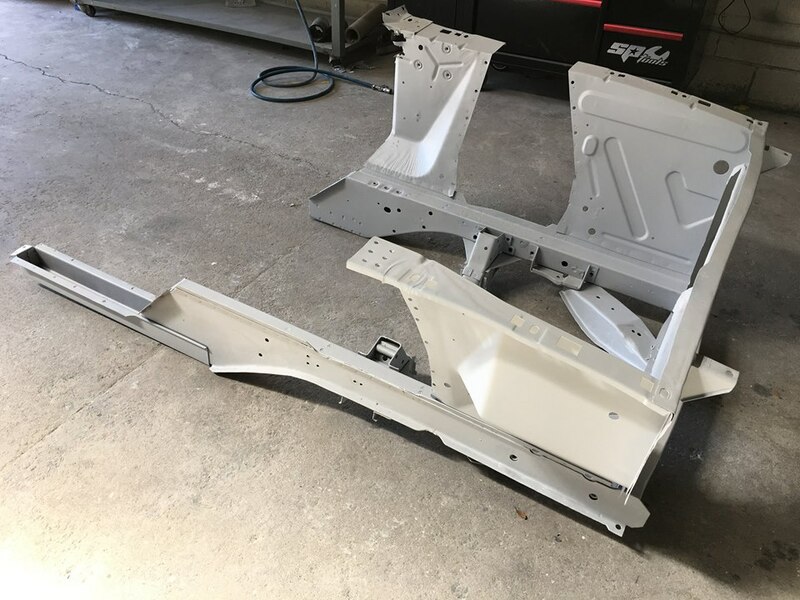 With the accident and rust repairs on the body now complete, the front-end, firewall and dash assembly have been removed to facilitate the right-hand-drive (RHD) conversion. The factory shock towers will also be replaced with notched towers to allow us to shoe-horn a late model V8 into the engine bay. The engine options are still being investigated, but be assured the emphasis will be on performance rather than fuel economy! Today we made a start on the RHD conversion and I will post more photos as work progresses. The front-end, firewall and dash assembly have been removed from the body to facilitate the RHD conversion. 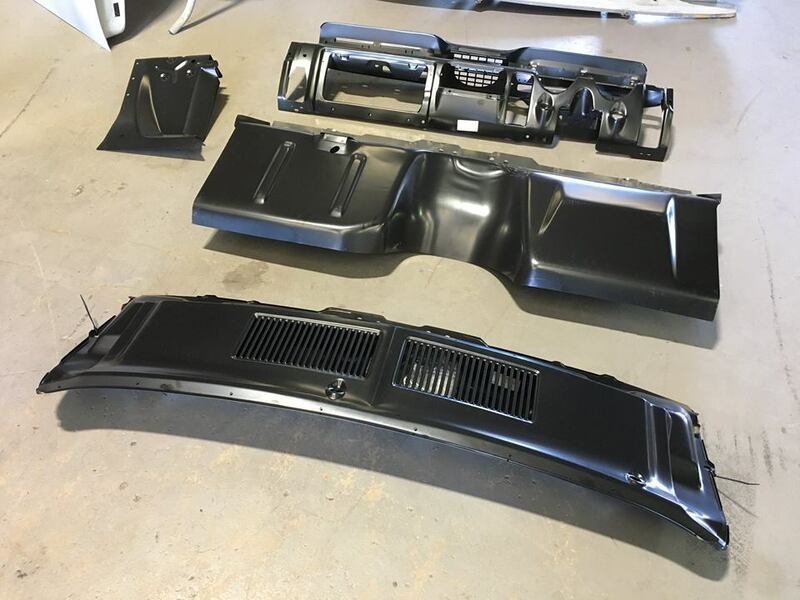 The RHD conversion kit ready for installation. The conversion kit comprises five panels (the fifth panel is under the wiper cowl panel). Some factory holes will be filled and factory creases removed during the installation process. The repaired front-end will be reattached once the RHD conversion panels have been installed. The LH rail was rusted out and will also be replaced. The factory shock towers have already been removed and will be replaced with notched towers. The original shock tower sits next to the replacement notched shock tower. The notch will provide the additional width required to shoe-horn the new V8 in the engine bay. The original LHD firewall and dash assembly after removal.